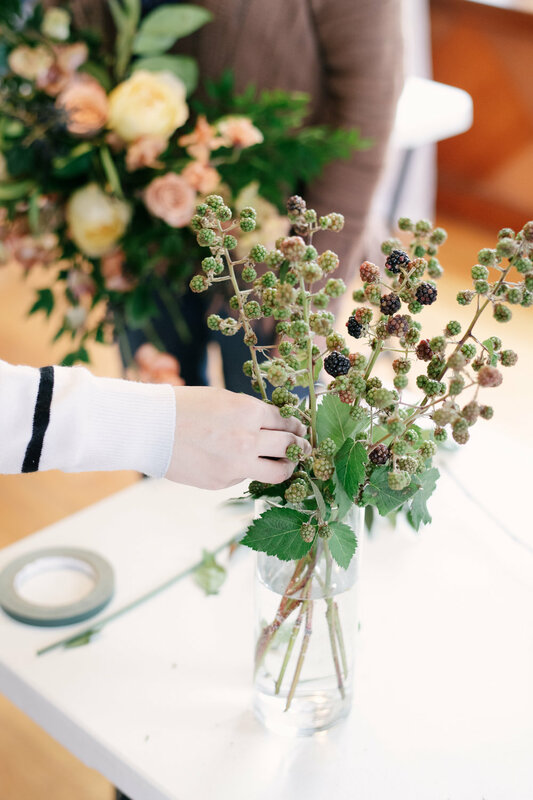 I am SO excited to share a recap of a Private Business and Floral Design Workshop I hosted in February! I welcomed the ladies behind the Corner House B&B, Jenny and Kelley, to our home and studio here in Virginia for an entire day full of learning and we had an incredible time together! 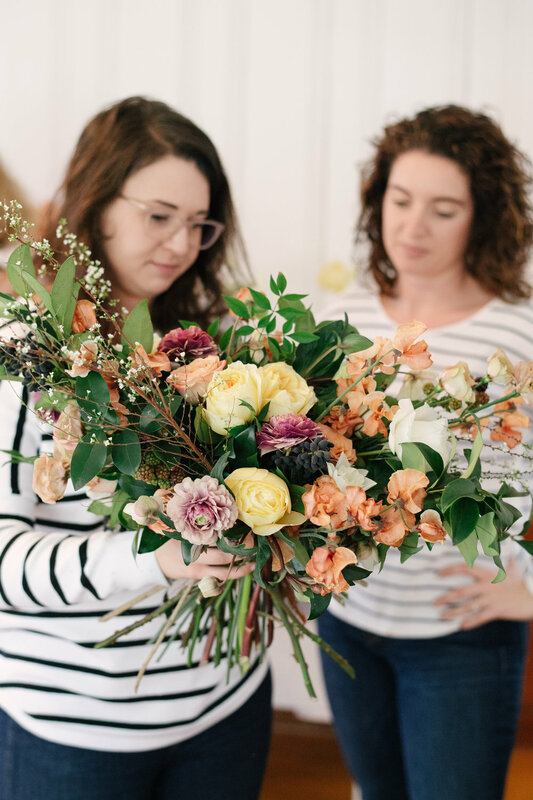 The Corner House B&B is in Rockport, Indiana, so it was such an honor to connect with these ladies who flew in from a different state for the workshop, and it was so fun being able to devote the entire day to specifically diving into their business! We started off the day with coffee/tea and breakfast and then dove straight into the content- where I taught about marketing, the booking process, creating design proposals, and more! 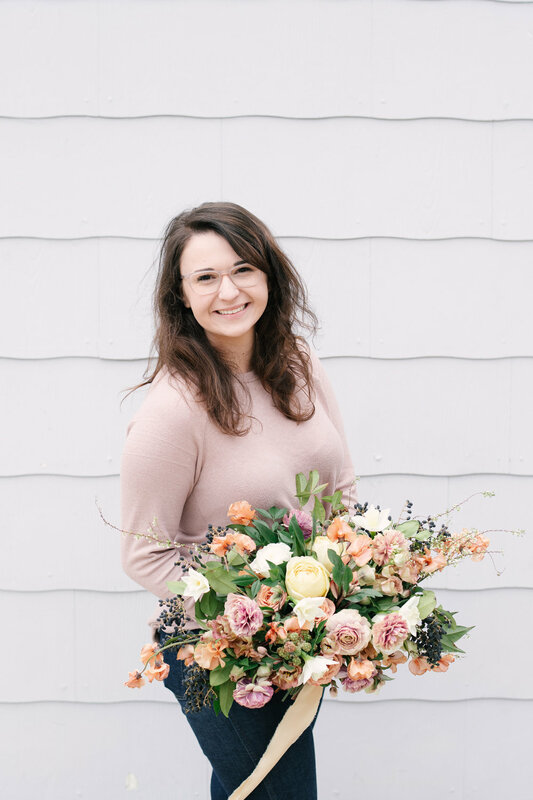 We talked about how to market your new business without going into debt, how to book brides in a simple and straightforward way that doesn’t involve dozens of emails, time spent tweaking proposals and research, and how to create proposals that convert and showcase the creative vision of both you and your client! We made an action plan for the Corner House and discussed their overarching goals and broke it up into manageable steps. Specifically, we focused on streamlining and ways to invigorate their marketing efforts and online presence! That took us all the way up to lunch, and then after that, we jumped into the bouquet design! Sarah Street Photography took photos for the workshop, and captured some shots of us all “in the zone” working on our bouquets! I have loved looking at the #courtneyinghramworkshop hashtag over the last few weeks to see them sharing all their pictures!! 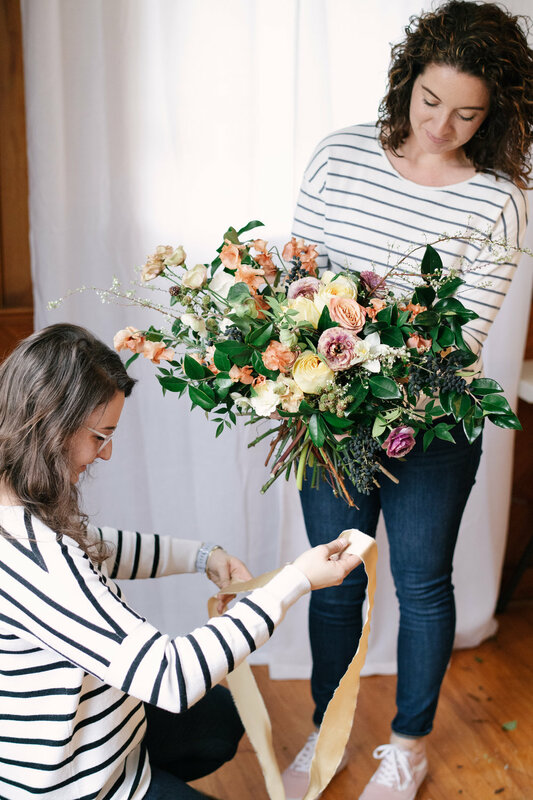 I demonstrated how to design my signature bridal bouquet, and walked Jenny and Kelley through the process, and then assisted them as they designed their own! It was so inspiring and refreshing watching them both put their own spin on their bridal bouquets and seeing their individual style come to life! And it was Kelley’s first time ever making a bouquet- I could hardly believe my eyes as she crafted this stunning garden-style bouquet!! So impressed!! 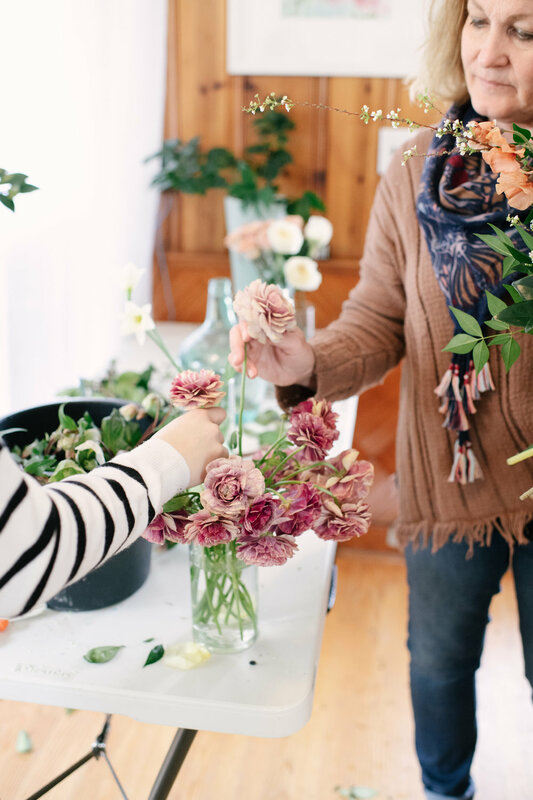 Afterwards, we launched into several more hours of content where I taught about pricing, ordering flowers, recipe building, sustainable systems, and more! 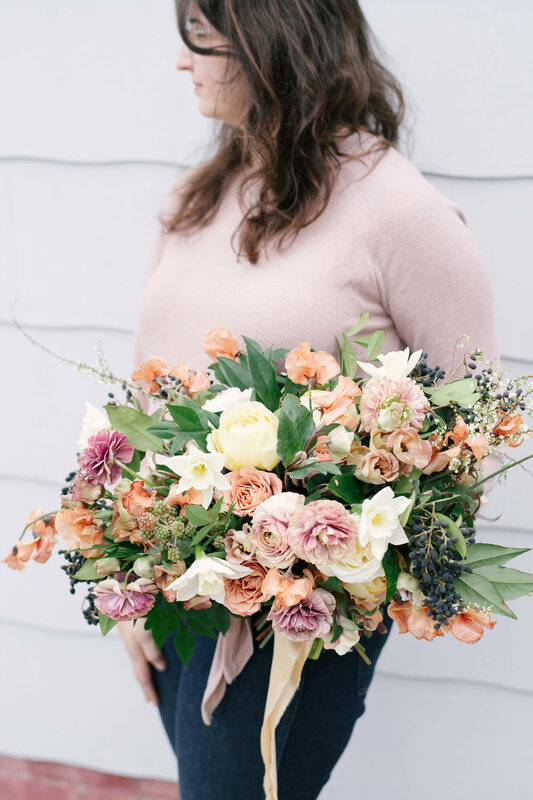 We talked about how to create a no-haggle pricing system, in addition to a breakdown of flower ordering and recipes (what elements and types of flowers to include each time you create a wholesale order), how to price your work, and the systems to use to keep the backend of the business organized and to give each client a consistent experience! We jumped on Honeybook and I gave them a tour of how I use that system to stay organized, and they were excited to use the built-in brochure functions, inquiry tracking features, and more! It was such a joy to spend time with the Corner House B&B ladies and walk alongside them as they continue to grow their brand, and I’m so honored that they chose to invest in this educational experience! Thank you to my sweet new friends!! It was so hard to say goodbye- I didn’t want them to leave after such an amazing day together! If you’re interested in attending an upcoming workshop, pop your email into the box below to be added to our waitlist! Join our education newsletter to get free educational content delivered right to your inbox, and to be the first to hear about upcoming workshops ! Thank you SO much to Sarah Street Photography for photographing!